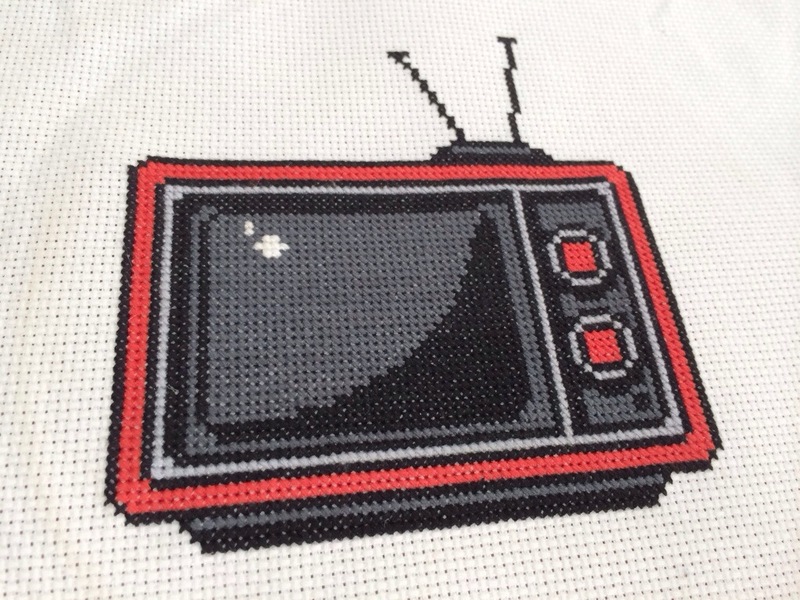 The retro tv was part of the first series of cross stitches I ever did. 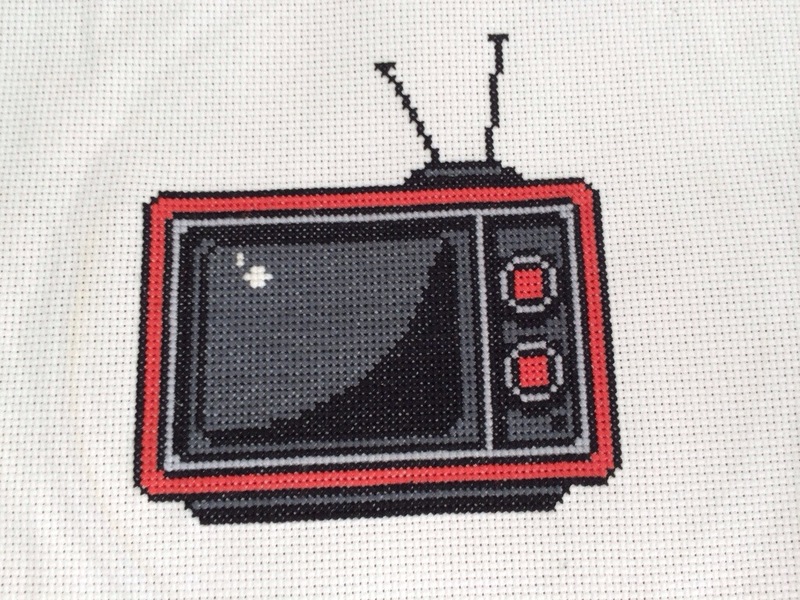 I found the pattern again awhile back and decided to whip up a new one. I always get a nostalgic feeling working on one of my older patterns, especially after doing more abstract, geometric ones for awhile. It’s always nice to do a more concrete picture and see it come together.